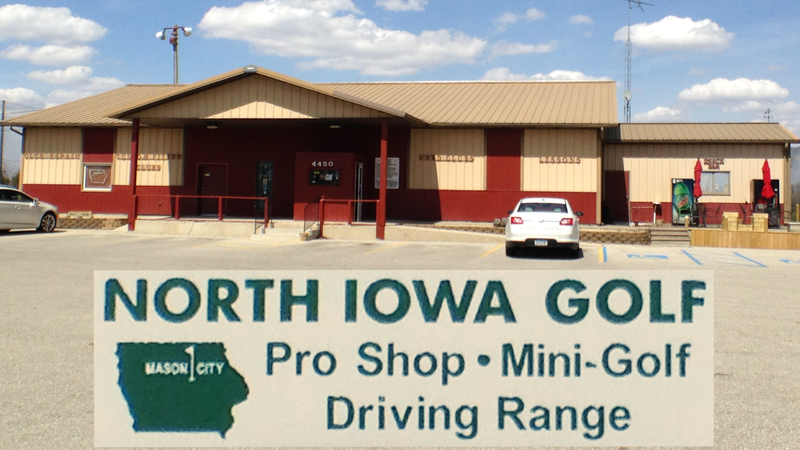 North Iowa Golf is a Family-owned golf shop located in Mason City, Iowa. We've been serving North Iowa's golfers since 1996. North Iowa Golf's Pro Shop is open year-round and features the latest golf clubs, golf balls, golf apparel, and golf accessories for golfers of every skill level. Three lighted Driving Ranges are available for golfers to try before you buy, practice or warm up before a round, and make sure your gear is ready to go before heading out to the golf course.